Many of us dream to work with a perfect manager or to be a good manager. Do such people exist? I answer without hesitation: “yes”, but probably it is time to put them on the Red List of Managers. Today we are discussing the qualities of managers. The topic is not new but always debated. I have only 8 years of work experience and about the same number of managers was in my life. During preparation of the article apart from analyzing my personal experience, I analyzed conversations with employees and managers of different levels and companies. As a result, there are 7 important points about which qualities an excellent manager must have. Primarily, people like it when others listen to them. If there is at least one person in your submission it is important for him or her to be heard, and not just listen to stories and orders from your mouth. I often face managers who interrupt their employees during a conversation, thinking that they understood the main point. The rule is simple: if you do not have time for a full conversation, schedule a meeting for another time. It is important for people to be heard and receive feedback on what they are saying. There is another part of the question: manager listens carefully and at the end says: “Very well.” “What is very well? What’s next? Have you been listening to me or just dozed off? “- the employee can think that. If a colleague comes to you and tells you about an AWESOME idea, which literally appeared to him or her in a dream but you realize that this idea hardly fits, you can give the correct feedback, suggest how you can improve the idea or in which direction to move. Refuse correctly. How to become a good listener? Put yourself in the speaker’s place. Agree that it is important for you to be heard as well as for your employee. You don’t need to be a psychologist to understand people and to know a simple truth: “Praise in public and scold one-on-one”. For some reason, some managers still make mistakes using this simple rule. I also became a “victim” of manager’s incorrect communication at the last place of work. No matter how confidential the relationships within your team are, never lecture a person if someone else can hear this conversation. In my opinion, this perhaps is the worst thing that a manager can do. But also do not forget to encourage your employees during meetings. This increases employees’ loyalty to you and the company. Gratitude is one of the effective tools of non-material motivation and many managers underestimate its power. A good manager is not afraid of competition and bravely hires people who are able not only to show good results in their work field but also can teach others something. It was sad for me to look at the story that happened in one of the companies where I worked when marketing manager looked through half of the labor-market in search of a marketing specialist and brand manager because of his uncertainty. 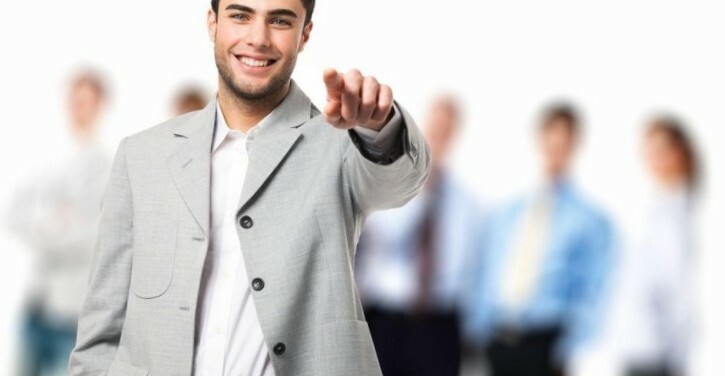 As a result, out of the mass of excellent candidates, with the right set of professional qualities, he chose the one with no work experience and poor understanding what to do and how to present himself inside the company and to the outside audience. Candidates with ambitions and good experience went to the shredder. It’s a pity. You might already have a couple of degrees, three coaching diplomas, and five master classes on personal growth. But it does not mean that you can stop. The modern world is so fast that the opportunities for growth and development are endless. Firstly, you must be an example for your employees. Secondly, to be abreast of the trends in your working area, you must constantly monitor the latest updates. The cruel truth of this paragraph is that once you stop growing personally, you can quickly find that there is a better candidate in your place. Competent CEOs are not ready to keep managers whose knowledge has become covered by the dust of the 20th century. And in addition: the modern leader should develop not only in the professional field but also expand the horizons of hobbies from different areas: sports, travel, gardening, cooking, trading on stock markets, social media, etc. I include two important points in this quality: a clearly expressed life position and suiting the action to the word. Both things should not be hard for a person. Proactive people do not need a push, this is the picture of a real manager. There is often no time for long thinking, you need to make a decision quickly and move the train ahead. You can, of course, take a poll, asking people why they think so, but it’s one thing to work on the issue of employee engagement, the other is to shift the decision-making to people who are not always competent in a particular issue. Even highly motivated people sometimes get tired, lose their grip and confidence in their abilities. Often, the support of friends, relatives, colleagues, and managers becomes the salvation. Being confident in your team is the guarantee of well-coordinated work. In the end, you selected these people, you let them into your business family, you have a common goal, in my opinion, there is no reason to stop trusting in those who are around. Trust your team, and it will return the favor. This word includes the ability to build team work, to lead, not to dominate, to be the leader for colleagues and a reliable partner. Most often, a person with strong leadership qualities does not need to prove anything to anyone. They always put money where their mouth is. Probably one of the most important differences between leaders and bosses: the leader goes next to the team, often in front of it, but always together with them. There are also two possibilities in any company: the leader, who suddenly becomes the boss, and the boss who decides to become an authoritative leader for the team. It is difficult to say with confidence which one of the two is more difficult. In the first case, there is a high probability of losing the team. In the second one, there is a low prospect of acceptance by the team because the level of trust will be low. What to do? Choose the leadership style that is the most comfortable for you, work on yourself and be yourself (no matter how trivial it may sound). ← They are late, not delayed. No more of this!